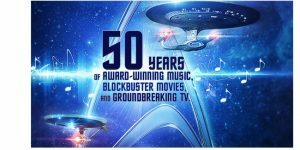 It is one of the biggest franchises in popular culture and science-fiction history, and this weekend gives fans the chance to relive some of its most memorable moment as Star Trek: The Ultimate Voyage, a celebration of the most iconic pieces of music and in over five decades of Star Trek, comes to London’s Royal Festival Hall. The concert, produced by CineConcerts and Senbla in association with CBS Consumer Products and Paramount Pictures, will bring to life the most iconic moments from both the feature films and TV series’, with a huge high-definition screen, and live orchestra. The show will feature footage from both the films, which have grossed over $1.4 billion at the box office combined, and the various TV series incarnations, including: Star Trek: The Original Series, Star Trek: The Motion Picture, Star Trek II: The Wrath of Khan, Star Trek IV: The Voyage Home, Star Trek: Insurrection, Star Trek: The Next Generation, Star Trek: Deep Space Nine, Star Trek: Voyager and much more. From Picard and Kirk to Janeway and Sisko, this is a chance for Star Trek fans to relive the iconic moments from their favourite series as Star Trek: The Ultimate Voyage is set to be the ultimate immersive live concert experience, in this galaxy or any other. CineConcerts is one of the leading producers of live music experiences performed with visual media. Founded by producer/conductor Justin Freer and producer/writer Brady Beaubien, CineConcerts has engaged millions of people worldwide in concert presentations that redefine the evolution of live experience. 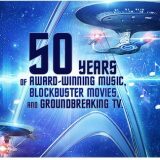 Recent and current live concert experiences include The Harry Potter Film Concert Series, Gladiator, The Godfather, It’s a Wonderful Life, DreamWorks Animation In Concert, Star Trek: The Ultimate Voyage 50thAnniversary Concert Tour, and Breakfast at Tiffany’s.